Glacier Lodge Eqi - Calving glaciers next to the icecap. Glacier Lodge Eqi - Overlooking glaciers. 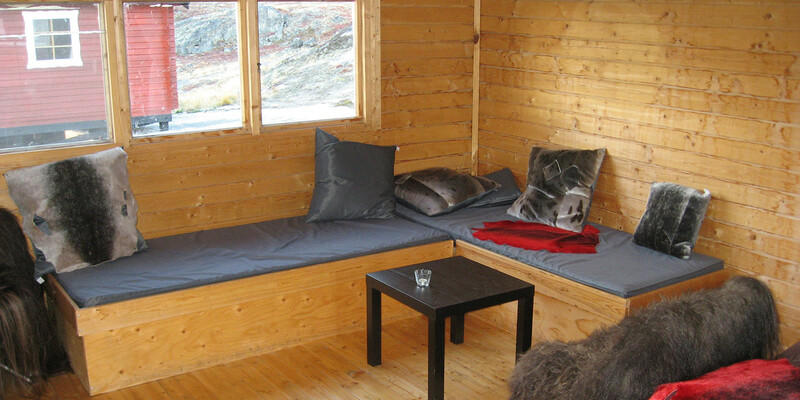 Deep in the Greenlandic wilderness lies Glacier Lodge Eqi. 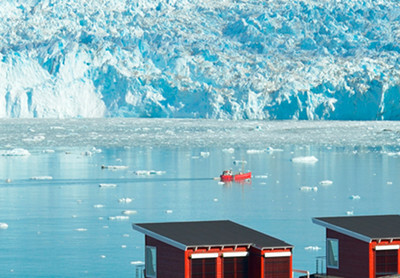 With mountain scenery as a backdrop, the Eqi glacier in the foreground and the ice cap on the horizon, all of the lodge's 14 cabins are uniquely located with panoramic views to the glacier. The 4 Comfort Cabins have private shower and toilet. The 10 Standard Cabins use shower and toilet facilities at Café Victor. For overnight guests at Glacier Lodge Eqi, all meals are included in the stay and are enjoyed at Café Victor. The water is sourced from a mountain lake and electricity is generated via solar panels or generator if necessary. 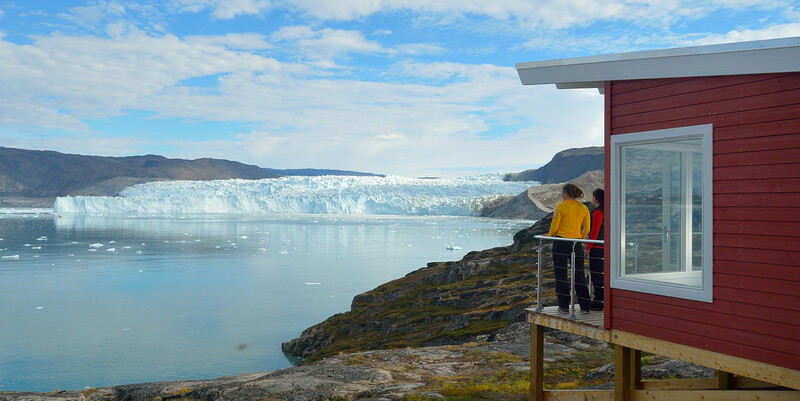 As something new in 2019, Glacier Lodge Eqi will offer wilderness tents located on a platform, with stunning views of the sea and Eqi glacier. The wilderness tents will be equipped with comfortable beds and a gas heater. There will be no electricity, so if you visit at the end of the season, it will be necessary to bring a flashlight, but in the summer we use the midnight sun as the only light source. The shower and toilet facilities for tent guests are located at Cafe Victor. On this ultimate tour of Greenland visit 2 UNESCO World Heritage Sites plus 10 towns and settlements during the 1,200 km long coastal voyage. 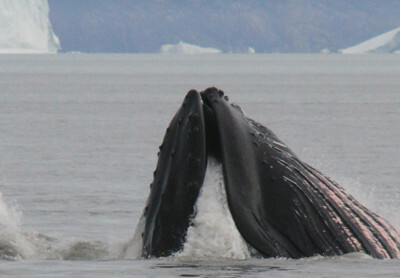 Relax and enjoy your time at Disko Bay’s most unique and sought after accommodation; Ilimanaq Lodge and Glacier Lodge Eqi. 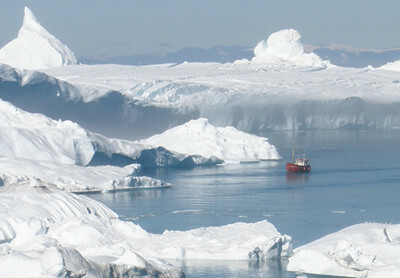 Experience an intense, unforgettable and beautiful journey visiting Camp Ice Cap, Ilulissat Icefjord (UNESCO), Ilimanaq Lodge and Glacier Lodge Eqi - each place is special in its own unique way.